She: Ekla Cholo Re has opened to good rave reviews so far. We thank the reviewers and have tried to compile the reviews for our readers to know about the book. Something that takes you into the lines and scenes.Thoughts and connectivity of the conversation has conveyed clarity to the readers about the book. 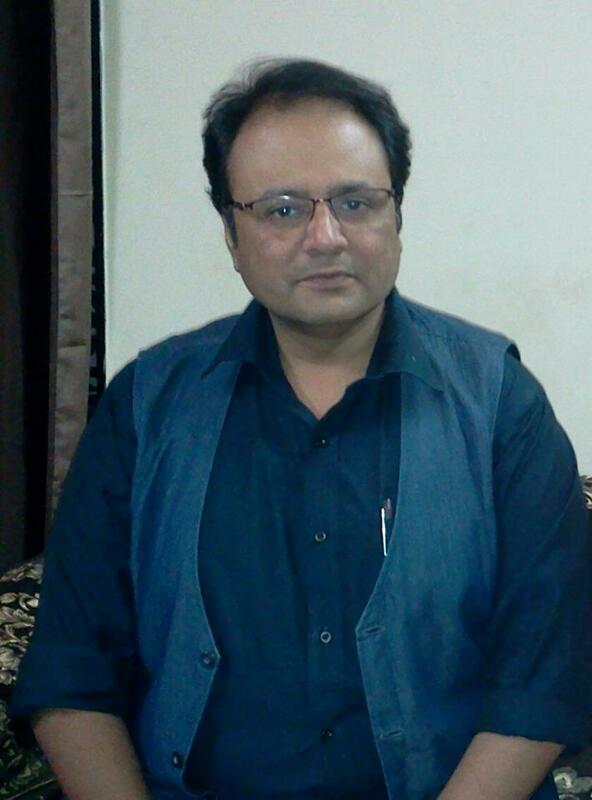 Welcome to the interview of ‘She: Ekla Cholo Re’, author Dr. Shayan Haq! Q1 : Why did you choose a topic like ‘She’ that is still considered as a taboo in our society? Views: I found and still finding this topic interesting! As far my understanding goes there is enough space that is available to deal ‘human sexuality’ in justifiable manner. Often I felt its projected pity, venerable, sexual craving or unclear at times. In simple way to say, characters like ‘Kusum’ are more shown negative rather than positive. They are often treated as inhuman. Q2 : What are the strengths of your book? Views: First of all, there is inspiration to the book and that too also from a great poet Rabindranath Tagore. His inspiration towards people through his ideas, thoughts, and simplicity has been amazing to me. His thinking towards the women through stories has been forward (progressive) that made me feel wow! He talked about social injustice, and equality that time. This reflects a person can be progressive anytime in the life. I feel there is no dearth of writers who are regressive but progressive writers like Rabindranath is required. ‘She : Ekla Cholo Re’ is one of such milestones to us! Secondly, We, doctors see a lot of patients. We see the sufferings of people. We not only treat physical problems but as well psychological problems that is often helps the patients to recover faster than otherwise. I have seen cases like ‘Kusum’, unfortunately cannot disclose or openly talk about such cases. I have tried to put such stories through Kusum in the book and its right from the bottom of heart! Q 3 : The book seem to be have an interesting end and it seem that there is part 2 to it. Am I right? Views: Yes! definitely part 2 is in the process with progressive approach. Its going to be positive again with an interesting end! Q 4 : As I read the book, I felt it has a potential to become a movie or at least one serial like Rabindranath Tagore’s story. What are your views to it? Views : (Smiles) Depends on the person who would pick it up! Yes, I see there is potential in the book. Q 5 : According to you, why should someone pick the book? Views : Kusum’s story is neither shown in TV or movies that is dealt in positive manner. He may be he, she or transgender – they would get a positive message through Rabindranath Tagore song Ekla Cholo Re from the book. Q 6 : Could you say ‘She’ story in few lines? Views : (Smiles) Inspiring story about a person who has suffered, he or she doesn’t have any control in the hands of society. Despite of all the shortcomings ‘She’ finds and make a way for herself through her inspiration, a national poet Rabindranath Tagore. Thank you Dr Shayan Haq! An idea could trigger off to become a book She: Ekla Cholo Re is still amusing to us! It has been a great journey of writing a story that is often ‘unsaid, presented in a face-lift way’! The book is set to launch on 24 Oct 2015. We also like to thank you all for the promising reviews and feedback! We are trying to evolve and seek your guidance to do so! Dr. Shayan Haq (author of She) has been instrumental in bringing the story in a harmonious way. His childhood experience at Bengal was handy in picking the scenarios. Rajashree Ghosh editor of ‘She’ gave a patient hearing on the idea initially and the story latter. She gave a Midas Touch to bring right Bengali context in the missing parts of the story. Authors’ take this opportunity to thank her for the contribution! I personally feel She: Ekla Cholo Re would be a worth a thing to ponder over after the quick read! 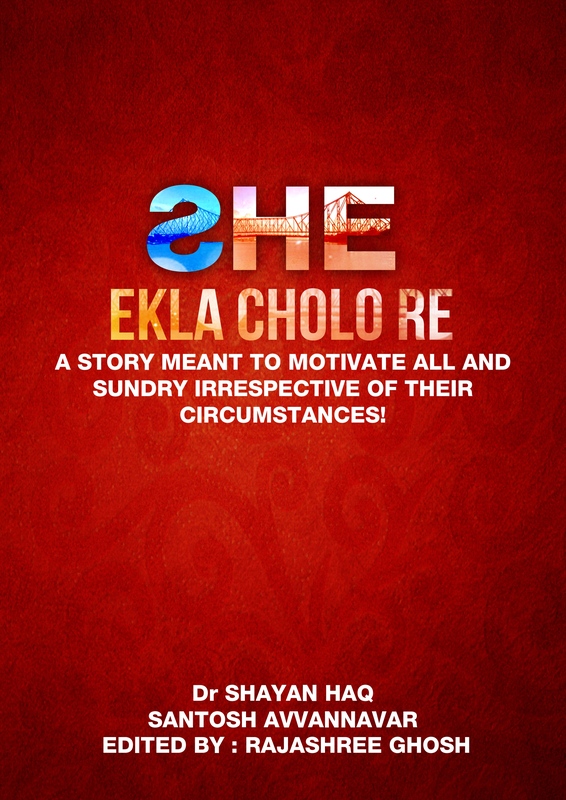 ‘She: Ekla Cholo Re’ is available for pre-launch at Amazon. Please find the link for the same – click here. Let me start the review with an apology note to the author who was kind enough to send me a copy in exchange of a review. 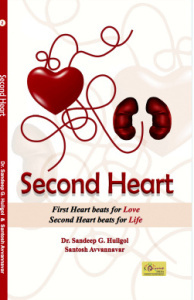 Second Heart is an anthology of five fictional stories that deals with various misconceptions that surrounds Kidney also known as Second Heart. The book provides an insight of the fuction of Kidneys, the reasons/symptoms of diseases and also on pros and cons of dialysis and transplant. The language is simple without much of medical jargons which helps even the lay man to understand. As always the writings are backed up with data to emphasise the importance of the subject. Doctor’s dairy- a note at the end of each story gives a glimpse of observation of doctors and few do’s and don’ts. Do give it a read if you want to be aware of your Second Heart.